DESPITE dropping a game early in the season, Warrandyte is top of the table in the Bill Wilkins Cup thanks to some dominating outright results in Round 2 and 3. Those outright victories have ensured Warrandyte is above another undefeated team, relying on its strong batting order to constantly provide tough competition for the opposition, and a brutal bowling attack to make it impossible to chase down. Warrandyte currently has the highest runs scored in the competition, with Aryton Dehmel (average of 85), Chris Barry (47), Adam White (44) and Alex McIntosh (41) all with impressive averages. All players have missed only one match this season, and with two of them recently returning to the club it highlights a distinct difference in the prospects for season 2013/14 compared with last year for Warrandyte Cricket Club. Most recently, Warrandyte hosted East Ringwood at the Warrandyte Cricket Ground, and when the home team posted 383 on the first day it became the first time in history that a team had six batsmen score 40 or more. It was the fourth highest First XI score in history, and the fourth best score ever at the ground. It is rare that a team will make 280 on the Warrandyte oval and walk off to realise they have lost by more than 100 runs, but this was the case for East. Admittedly, the boys should have done more to snuff out any hope for East Ringwood and shut the match down, but the total was enough to ensure there would be no real issues. The week before, McIntosh and Holland were fearsome with their brutal pace, rattling Croydon Ranges at home. 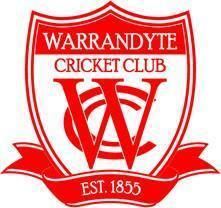 Warrandyte bowled out Croydon early on Day 1, and had locked away the points before the close of play. With a strategic declaration, Warrandyte did the job again on Day 2, with McIntosh bowling some serious heat to rattle the normally strong Croydon line-up. Warrandyte’s Second XI also tops the ladder in the A Grade competition, which is a great result for the club. This season it is imperative that the Second XI returns to a higher grade to continue to support the growth of the club’s talent. Again equal on points with the second team, Warrandyte’s miserly bowlers have the best record of keeping opposition batting line-ups to the least among of runs. Matched by strong contributions regularly by two to three batsmen per match, Brenton Styles and Hayden Miles have been strong additions to the squad, with 13 and 12 wickets each. Supported by the young fast bowlers Luke Killey and Brandon Stafford, the Second XI’s bowling line-up is looking as strong as it ever has. Despite that, they did drop their last game at Wonga Park in adverse conditions, and will be looking to amend this going into the post-Christmas break. Warrandyte’s Third XI sits a game adrift of top spot, sitting below Kilsyth in the Don Smith Shield. as easy as was being suggested at club level. With an extremely strong presence of players who have all at some point played First XI cricket, and with Stewart Smead continuing to lead from the front with both bat and ball, the team is confident of continued success. However, what happens off the paper and on the pitch is a different story, and the team is yet to find their full potential. Victories so far have been delivered with standout performances from one or two players, but then a lack of form from the other men means Warrandyte will be looking to find a click going into Christmas. Warrandye’s Fourth XI is the only team currently sitting outside the top two across the club. This is a fair reflection on a team that is often salvaged for players from higher grades when attendance hurts, and will be looking to gain some security going into the end of the year. Captained by Greg Warren, head of the selection committee, they have called upon 20 players already in five games. Warrandyte will look to veterans Brendan Baker, Brett Kline, Nathan Croft to mix in well with the youthful members who include Nicholas Oremek and Bailey Dixon.